We have never attended a murder mystery party but they sound like tons of fun. We have the usual sort of traditions for Christmas but they always make us happy every year! I have always wanted to go to a murder mystery party and that is so my kind of thing. I never thought to host one myself though. Something for the new year! i LOVE murder mystery parties. what a fun and unique tradition! How fun! I've never attended a pray like this. The kits sound great since they have everything you need in there. I might have to give this a try. Very cool. Sounds like it could be a fun thing to do. I love making puzzles to solve. That sounds so fun! I have always wanted to try a dinner theater mystery nights, but haven't done it. Dressing up would be really fun :) I have never had a theme party...can you believe that? I've heard of these before, but I've never attended one or hosted one; it sounds like a TON of fun!! Such a great idea to get together with people around the holidays, too. Thanks for sharing this! Hope you have a great weekend and a wonderful holiday week! I LOVE these - even though I've never been to one. I grew up loving Agatha Christie and she had a plotline where a murder mystery went wrong and there was an actual one. And another plotline where it was supposed to go wrong, but the detective figured it out beforehand and he inserted a little fake murder of his own. Thanks for the tips! My family tried this once, and we used a boxed party but I forget which one it is. The challenge was that half the people just weren't into it and half-heartedly played...so that was the last time we tried it. I guess I need to find people who actually want to do it! I soooo want to do this! I love murder mysteries. Unfortunately, I'm not much of an entertainer. I need to work on that. I've been to one murder mystery party, but I was super young. I would love to try another one with my friends. I think we would all get into it. I love these! We participated in one long ago as a Sunday school get-together. Super fun tradition! We had a company do this for us a few years back. I really want to do it again! 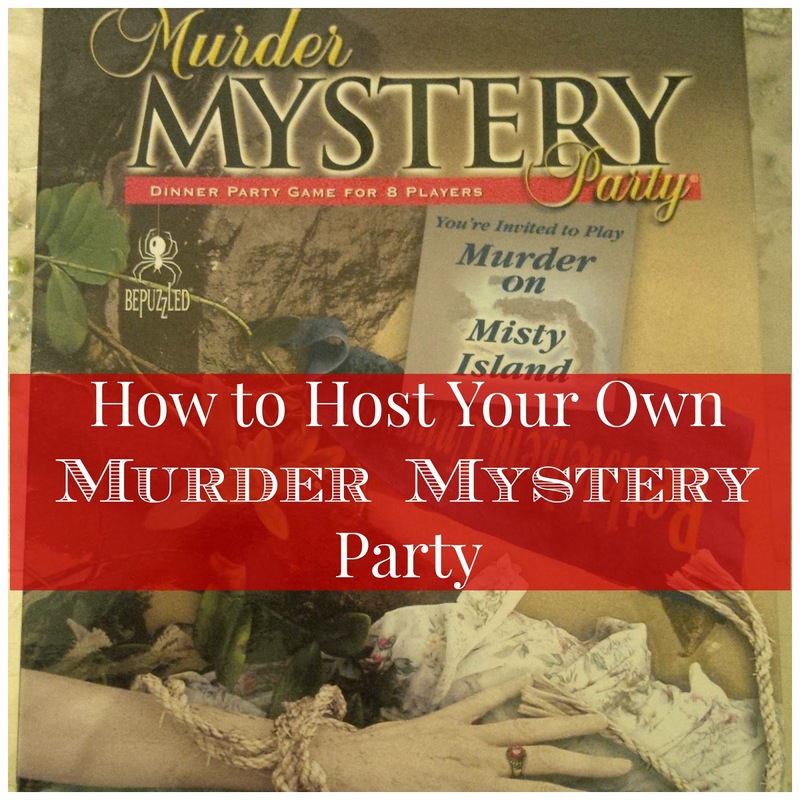 I love murder mystery parties, but have never hosted one. I really should! This would be so much fun, I love this idea! I have never hosted or even been to one, but if invited I would totally love playing the part:) What a fun tradition!!!! Looks like a fun time. 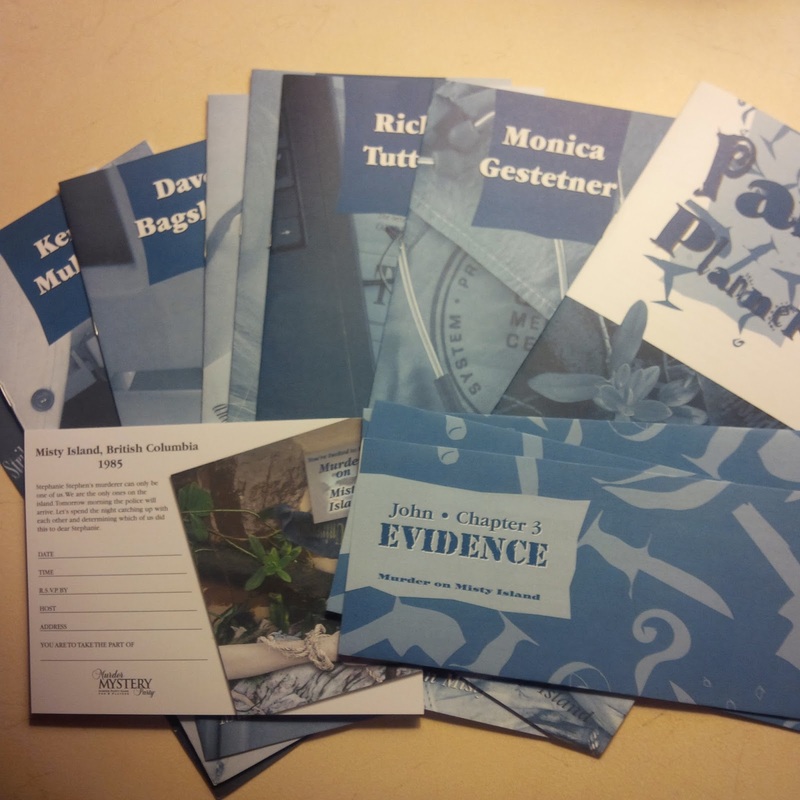 Who doesn't enjoy a mystery? That is such a cool tradition, and I bet everyone loves coming to a different type of Christmas party each year! I did a murder mystery dinner at church one time, but didn't get to play a character. Sounds like a fun idea to try sometime! What fun! I've never been to one of these, but perhaps I'll see if my teens would be into this. Being able to order a kit seems like an easy way to pull it together. Where did you order the kits from and what was the cost? Oh my gosh I want to do this!! What a great idea!! We do play a few games on Christmas but this seems like a blast. I didn't even know you could buy these kits. Have a great time! Happy Holidays! That sounds like such a fun concept! Wow this is brilliant! Very unique, I have never been to a murder mystery dinner party, I'm sure all your guests love the change of pace with your out of the ordinary Christmas Party. I love playing Clue so it would be awesome to make a whole party out of it!